Want the best results from your fog machine? Get the best fog juice – it makes a bigger difference than you think! Looking for the best fog juice to use with your fogger? We’ll walk you through the best fog fluids available. We cover it all: low lying fog juice, high density fog fluid, Chauvet fog fluid, Froggy’s Fog, best haze fluid, and more! Want to achieve that awesome fog effect you’re imagining? It starts with a quality fog machine and the right fluid. To skip ahead to our in-depth fog fluid reviews, click here. Does the type of fog fluid really matter? The type of fog machine fluid you’re using makes a huge difference! But why? The fact that often gets overlooked is this one: no matter how nice your fog machine is, it will only perform at its best with the right type of fluid! So we’re here to help you find the best fog juice. The good news is, even top-of-the-line fluid is reasonably priced and definitely worth it. The false assumption many newbies make is that any fluid will get the job done. They assume that the quality of the fog machine is the only thing that matters. While it is certainly important to invest in a high-quality fogger, you still need to feed it the right kind of fuel. It’s the same reason that luxury sports car owners only use premium gasoline. Not only does this optimize performance, but in some cases using lower-quality fuel can actually damage the engine. As you survey fog machine liquid for sale on the market, we’re here to guide you through the process! So what are the risks of using poor quality fog fluid, or the wrong type of fog fluid? You could damage your fog machine. Many manufacturers design fog fluid to operate hand-in-hand with their specific product. Using the wrong type of fluid can put strain on certain components of the machine – including the heat exchanger, pump, and exit nozzle. Every fog fluid is designed to vaporize at specific temperature range. If your machine can’t reach that temperature, or exceeds it by too many degrees, this can negatively impact its mechanisms. Harmful byproducts can be produced. Fog machines are safe, but only when used correctly. Cutting corners with the fog fluid you’re using, or refusing to do a little research, can create health risks. Using fog is meant to be fun, not dangerous. Make sure it stays that way! 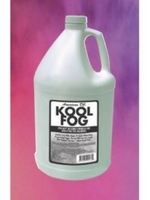 Quality fog fluids contain chemicals that are completely safe, but only when used properly. For example, if your machine’s heating element reaches temperatures that aren’t compatible with the chemical levels in the fluid you’re using, harmful fumes like formaldehyde can be produced. The last thing anyone wants is a dance floor full of choking people. This hazard is easily avoidable by using a trustworthy, high-quality product, and also making sure you’re using the right fog fluid for your specific machine. This article will help you accomplish both things. Your desired fog-effect will fall short. The type of fog fluid you use matters. Here’s another reason why – using the correct fluid allows your machine to deliver the fog effect it was made for. This is important to realize. If you’ve purchased a standard fogger, don’t think that by putting low-lying fog juice in the tank, it will produce low-lying fog. Not only does this put strain on your fogger, but you won’t have low-lying fog! Here’s the important principle: every fog machine is designed to achieve one specific effect. So stick to the script! Don’t make the mistake of trying to alter your fog machine’s performance simply by swapping out the fluid type. The results won’t be ideal. For the best results, use a fog machine that promises to perform exactly what you’re looking for, and use the correct fluid. Using cheap fog fluid stinks. You want people to leave with memories not fog residue. There’s nothing worse than a fog machine that leaves sticky or slick residue on everything within reach. You might save a few pennies by purchasing low-quality fluid, but these are more likely to leave a nasty film behind. Additionally, if you’re using the wrong kind of fluid for your fogger, the actual fog can come out overly wet (this occurs when the heating element can’t reach the required temperature to vaporize the fluid). Make sure you’re pairing the right fluid with the right machine. We’ll explain how to do this in the next section. To sum things up so far – it’s not worth investing in low-quality fluid for your fog machine. This can put unnecessary strain on your fogger, create nasty smells, leave behind residue, and worst of all release dangerous byproducts into the air. In the same way, using the wrong type of fog fluid that isn’t designed for your machine can actually damage it. Want to avoid these foggy pitfalls? Read on! See what the manufacturer recommends. Using the fog juice the manufacturer recommends is a good starting place. Once you’re comfortable using your fog machine, there are plenty of other fluid options to consider. 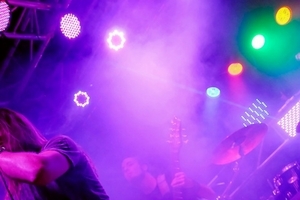 Professional companies like American DJ, Chauvet, Froggy’s Fog, and Master Fog make high-quality fog fluids that can be used with multiple products. Using our fog-fluid criteria below, you can enjoy branching out to new products without damaging your machine. 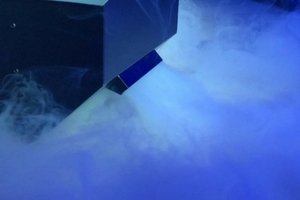 Before discussing the criteria to use when considering different fog fluids, we return to a main point: every fog machine is designed to achieve one specific effect. This doesn’t mean there won’t be some variation in the effect your fog machine can achieve. For example, many machines can produce medium-density fog and high-density fog – the only difference is the type of fluid used. But a standard fog machine by itself is not designed to produce low-lying effects, and should not be filled with a fog-chiller formula. Aim for the effect your fog machine was designed to deliver. #1. Is this fog fluid manufacturer reputable and trustworthy? Seems simple enough, right? For those of you who are professional DJs or entertainers, you already know what brands can be trusted. If not, see our list of professional companies above as a starting point. What we highly encourage you to avoid is making abstract web searches and picking the cheapest product. If you do this, you’re less likely to purchase a product from a professional company. You’re probably opening yourself up to the fog blunders listed at the beginning of this article. Ok, you get it! Make sure to spend the few extra dollars (literally) and secure a high-quality product. #2. What category does my fog machine fall into? Low-lying fog machine – sometimes called a “fog chiller.” Produces fog that stays low to the ground. Once you’ve determined what category your fog machine falls into, move on to step 3. #3. What kind of fluid is compatible with my machine? Standard fog machines – any high-quality fog machine fluid that is medium or high density, or boasts a “long hang time” should be ok to use. Low-lying fog chillers – we only recommend using fluids specifically designed for this type of machine. Do not use standard fog machine fluid. 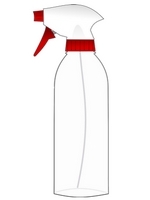 Haze machines – only use haze fluid, preferably one made by the manufacturer of the machine. Fluids made by Master Fog and Froggy’s should also work great and will give you more options. Special FX/Geyser machines – the key here is using a quick-dissipating (disappearing) fog to achieve the desired effect. Check to see what the manufacturer recommends, then try out the other products listed in our buyers guide below. Bubble machines – bubble machines require a specific soap-like formula to work, so make sure you’re using a bubble fluid. Some may be tempted to use a cheaper store-bought bubble juice (the kinds kids might use with a bubble wand). We advise against this. Stick with a professionally-designed formula that was made for your machine. Snow machines – snow machines achieve a very unique effect that’s only possible with the correct fluid. Don’t try and substitute this for another type of fog fluid. Hopefully these guidelines have helped clarify what type of fog machine fluid is right for your specific machine. Now on to the harder step – actually choosing a product! There are a lot of options on the market. We’ve tried to help by selecting a few of our favorites. 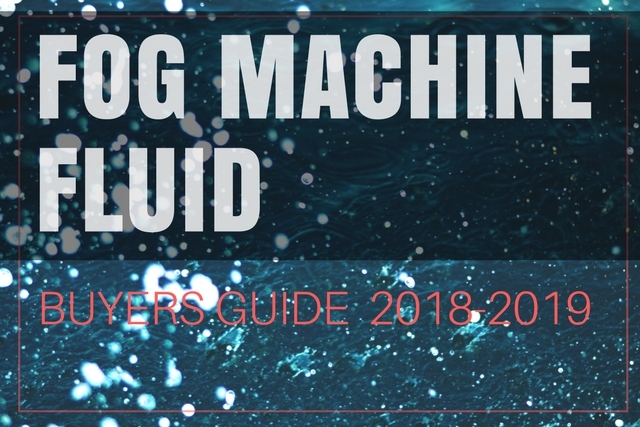 Every fog machine fluid in this buyers guide is highly ranked by professionals in the industry. Maybe you’ve noticed, but we’ve already divided up each fog fluid into a category so you can easily find what you need. Above all, knowing which fog fluid to use makes life more fun! You’ll have peace of mind knowing that no harmful elements are being released in the air. You won’t have to worry about damaging or misusing your machine. And you’ll achieve that amazing effect you were going for every time. We truly believe that when you load up your machine with these fog juices, you’ll be thankful you put a little time into researching this! The results tell the truth. How long can I store fog juice? Good question! The best way to answer this is to check the label or manufacturer’s website. Not all fog juices are the same. However, some general tips are to store in a cool dry place. When you’re finished using your fog machine, pour all excess fluid from the tank back into the container. Make sure it’s sealed tightly. Can I just make my own fog juice? We don’t recommend it. While it may be fun to go all mad-scientist and create custom concoctions, the truth is fog fluid companies have the chemical balance dialed in. This includes making sure the ingredients are FDA approved and balanced correctly, but it also means their formulas are optimized for specific machines. A lot of money, expertise, and accountability is required before a product reaches the public. Do you really want to be responsible for the health of others? There are a lot of DIY fog juice videos and articles out there. There’s a lot of great fog machine liquid for sale, so our advice? Steer clear, shell out $20 for a quality fluid, and sleep well at night! Don’t take the chance with bad fog machine fluid ingredients! Can I add fog scent to my fog juice? Yes you can! In our opinion the best fog scent comes from Foggy’s Fog: get it here! They have almost 30 scents to choose from and as always, Froggy’s Fog uses pharmaceutical ingredients. You can rest assured that the fog scents and smells will intrigue guests without choking them! Can you put essential oils in fog machine? We don’t recommend it. Invest in a high-quality diffuser that was made for essential oils. This is the safest route. A lot of people like the idea of creating their own DIY fog machine. To make your own fog machine, which works at the same level as a professional-grade unit, is easier said than done. We recommend investing in a high-quality fog machine that will work well and won’t endanger your guests, friends or family. A simple option that doesn’t require electronics or other complications, use dry ice and water. Always wear gloves when using dry ice to protect your eyes, hands, and skin. How long does fog juice last? The longevity of fog juice is increased when it’s stored in a cool, dry place. The exact longevity depends on the fluid formula and brand. Consult the manufacturer or bottle label for specifics on how long your fog juice lasts. Can you put haze fluid in a fog machine? We don’t recommend it. Haze juice is specially formulated to perform well in a hazer. Likewise, your fog machine was designed to vaporize fog juice. Let your gear do what it was designed to do – cutting corners usually results in damaging your equipment, and who wants that? As long as your using a reputable brand, yes. Ever wonder what’s in fog juice? Although the ingredients vary, usually it contains a combination of distilled water, pharmaceutical-grade propylene glycol, and triethylene glycol. For those who hate long confusing ingredients that sound like spawns of a nuclear apocalypse, fear not. For example, propylene glycol is often used in medications and vitamins. The most common components in fog fluid are non-toxic, non-irritating to the eyes and respiratory system, and odorless. All the same, safety is paramount. A few safety tips when using fog juice are to always keep it away from your eyes and mouth, store it in a place that’s dry and child/pet free, and always ensure your fog machine tank is adequately filled (this prevents the pump from being damaged). What is medium-density fog? Any explanation can seem a bit subjective, but generally medium-density fog is designed to accentuate lighting without fully obstructing anything from view. In an unventilated area this type of fog can last for around 45 minutes. High-density fog is thicker, shows light beams, and is more capable of hiding objects from view. Haze is much lighter, less likely to trigger smoke alarms, shows light beams, but is too transparent to obstruct things from view. Froggy’s Fog is a leader in the industry and is used by some of the biggest names in the business. Backwood Bay is one of their best overall fog juices – this one hangs 2-3x longer than the Techno Fog formula. According to their website this is the most popular product in their Select Series thanks to its extremely long-lasting hang time. 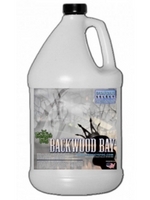 Backwood Bay produces fog that is odorless, dry, clean, and leaves almost no residue. Your guests or clients will appreciate this no matter what the application. Enjoy an awesome foggy atmosphere without walking away sopping wet. This fog juice is non-irritating and won’t burn your eyes or cause respiratory issues. (if you have eye irritation or respiratory issues, this may not be the case). It’s non-toxic and non-flammable. It’s made from de-ionized water and pharmaceutical-quality chemicals and is FDA approved. 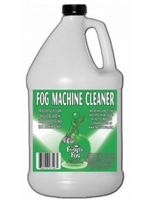 You can use this fog fluid in machines with as few as 600 watts so it’s a versatile formula. Pour this fluid into your fog machine tank and enjoy hours of great atmosphere. 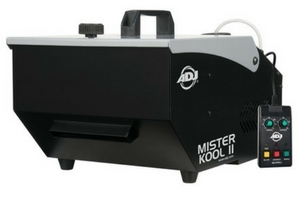 Master Fog Classic is made in the USA and is compatible with any water-based fog machine. It is reasonably priced and comes in a gallon-size container, meaning you won’t run out too quickly. This fluid produces an incredible medium-density fog with a hang time of 45 minutes (in unventilated area). 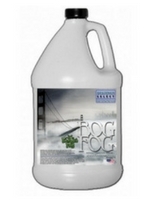 This fog fluid is made with pharmaceutical-grade chemicals and uses UV De-ionized water. It contains absolutely no glycerin. This juice vaporizes with no odor and produces fog that is clean/dry. This fluid is excellent for creating a foggy atmosphere without totally obstructing things from view. It will enhance your lighting effects and show light beams. 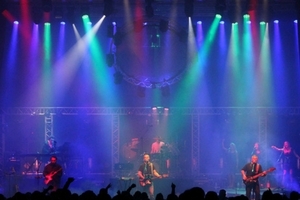 Chauvet is known for producing innovative and high-quality lighting and DJ products. Their line of fog machines have become an industry standard (especially their recent Geyser series). 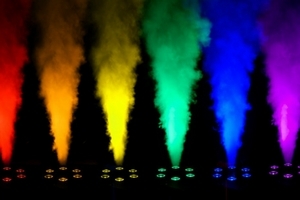 If you own a Chauvet fog machine, we highly recommend using their fluid. 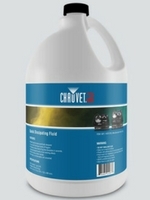 Chauvet fog fluid has been specially formulated to optimize the performance of Chauvet products. The FJU fog fluid is specially made for water-based machines. It’s a great overall juice that produces a thick cloud of medium-density fog. It won’t stain or leave residue making it ideal for indoor or outdoor use. It is non-toxic, non-flammable, and unscented. It’s made from a blend of ingredients regularly used by food/cosmetic industries. The main component is water. Get the most out of your Chauvet foggers with this great fluid. High-density fog is a lot of fun! If you’re looking to fog the heck out of a space, or effectively fog an outdoor space with light wind, high-density is the way to go. While all fog performs best without wind, the following products will give you an extremely thick, dense, atmospheric vibe that you’re sure to love. We’ve limited our top picks to some of the best products available, so enjoy! This is the thick stuff! If your goal is to entirely ingulf an audience, space, or scene in a layer of beautiful thick fog, this is the product to go with! Compatible with any water-based fog machine with 700 watts or higher, Bog Fog will produce dense white clouds of fog. Enjoy optimum light refraction and watch your lights show off at new levels. This fog has a slow evaporation rate giving you a longer effect. Made in the USA from FDA approved ingredients. 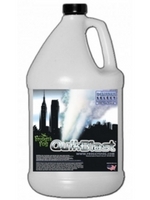 Creates fog that is clean, dry, odorless, and leaves no residue. This fog formula is non-irritating, non-toxic, and non-flammable. We believe once you try Froggy’s Bog Fog a try, you’ll never look back! 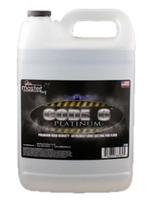 Master Fog Code 6 Platinum is a beast in the world of high-density fog fluid! (that was a weird sentence) But seriously, this stuff will not let you down. In an unventilated area Code 6 Platinum will produce fog with a hang time of 3 hours! That’s some serious fog fluid. Once thing to keep in mind… don’t use this fog fluid with smaller fog machines (400-700 watt). This is a dense formula and may clog these units. For larger foggers there’s no better option if you’re looking for thick, long-hanging clouds of fog. If you’ve never tried Code 6 fog fluid, we highly recommend it! As always, Master Fog Code 6 Platinum is made from safe ingredients approved by the FDA. The fog produced from this fluid is dry, clean, and odorless. Take the thickness of your fog to new levels of density! The Chauvet HDF High-Density Fog Fluid is a step up from their previous HJU product. This is an ideal fog juice to use with Chauvet machines – although it works great with any water-based unit. Enjoy thick clouds of white fog with an extra long hang time. 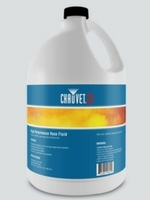 This Chauvet high density fog fluid produces clean, dry fog that does not leave stains or residue. It is non-toxic, non-flammable, and unscented. It’s made from safe FDA-compliant ingredients. With all the exciting light fixtures Chauvet is cranking out these days, don’t miss the chance to bring them to life with this fantastic fog fluid! There is a direct correlation between the density and hang time of any fog product. So if you’re looking for extremely long-lasting fog, refer also to the previous section on Best High-Density Fog Fluid. There are so many great products we decided to review two more under the heading of longest hang time. You can’t go wrong with any of these products. They deliver unbelievably thick clouds that will accentuate your light show and/or create a fantastic atmosphere for any application. 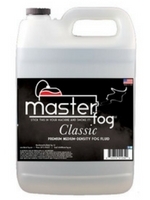 Master Fog Code 6 claims to be the longest lasting water-based fog juice on the market, and they just might be right! This stuff is insane! This juice boasts a 2-hour hang time in an unventilated area. If you’re looking for something even thicker, check out Master Fog’s Code 6 Platinum with a 3-hour hang time! 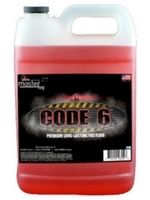 Code 6 is specially formulated to take a minimal toll on your fog machine. It is recommended for use with machines exceeding 700 watts. It creates fog that is clean, dry, and leaves no residue. You won’t have to worry about nasty smells either – this fluid is contains pharmaceutical-grade chemicals that are FDA approved. A huge benefit of this product is you end up using less fluid to achieve the same effect as cheaper fog juices. Do it right the first time and check out Code 6! If we were to give any fog fluid the “badass award,” this would be it! In fact Froggy’s Swamp Juice has already won multiple awards including the International Association of Haunted Attractions Vendor Excellence Award. It was also featured on the TV show “World’s Greatest…” as the world’s greatest fog. Those are some eyebrow-raising credentials. So does this fog fluid live up to such accolades? We say yes. One way to evaluate a product is to ask: what clients are using it? In the case of Froggy’s Swamp Juice, clients include Universal Studios, Busch Gardens, Six Flags, and many other major theme parks. Additionally, this product is used by the military in Urban Warfare Training Centers, as well as police and fire departments for simulated smoke training. If that’s not badass we don’t know what is! Froggy’s Swamp Juice is ideal for outdoor areas and large facilities. It has an extremely long hang time and will create a prolonged foggy effect that fades slowly. It produces fog that is clean, dry, and odorless. All materials used are FDA approved and safe to breath. 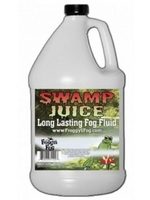 Check out why Froggy’s Swamp Juice is one of the best-selling fog fluids in the nation! Treat your fog machines to something extra special without spending a fortune. Low lying fog is one of the coolest effects around. Some mobile DJs use it to create a “dancing on the clouds” effect for weddings. Others utilize the effect for stage performances or Halloween graveyard scenes. It can be fun to flood a dance floor with low-lying fog and watch people’s excited reactions. We’ve divided our review of low lying fog juice into two categories. The first is low-lying, long-lasting fog fluid. This juice will produce fog that sticks close to the ground and disperses very slowly. 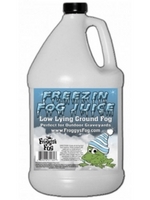 Froggy’s Freezin Fog Juice is specially formulated for outdoor use. It’s the perfect fog fluid for graveyard scenes, and even special first dances at weddings (those two events don’t exactly go together do they?!). 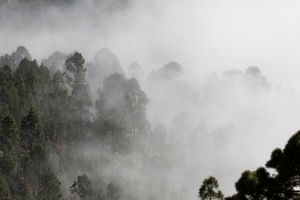 It produces fog that comes out thick and slowly disperses along the ground. 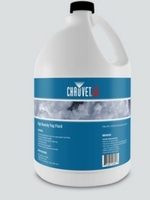 While there are low-lying fog fluids that create clouds that disperse quickly, this product is designed to last longer. This fog juice should only be used with a fog chiller. As mentioned earlier, pouring this fluid into a standard fog machine will not achieve the desired effect. Along with professional fog chillers, this product can be used in homemade ice chest/trash can chillers. Froggy’s Freezin Fog Juice is optimized for machines 400 watts or higher. It is non-toxic, non-irritating to the eyes, and non-flammable. You can achieve an incredible low-lying fog effect without leaving wet or sticky residue. This is a fantastic fog juice for outdoor/indoor low-lying effects. Get the most out of your fog chiller by using this high-quality fluid. Here’s the second category of low-lying fog fluids – this one reviews products that create quick-dispersing fog. This is especially useful in theater productions, weddings, and stage performances. This juice will create a wonderful low-lying fog effect that won’t linger too long. Too much fog can be distracting and hard to control, so these products offer a helpful way to achieve your desired look without obliterating everything from view. Some DJs will prefer to use this product at school dances and parties as opposed to denser fluids that might trip a smoke alarm. 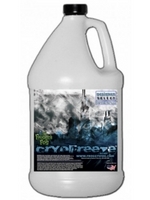 Froggy’s Cryo Freeze is an innovative fog juice designed to create low-lying fog that dissipates fairly quickly. It’s perfect for stage and studio applications, dance performances, theatrical environments in which a fog effect is desired but only for a short duration. This fluid is ideal for weddings, school dances, films, plays… the options are endless! If you’re a mobile DJ, impress your clients by offering a first dance on the clouds. There are many comparable products on the market, but few deliver like Froggy’s. This fluid is optimized for foggers 400 watts or higher. To maximize the abilities of your fog chiller you need to feed it the best fuel. We highly recommend this product for your consideration. 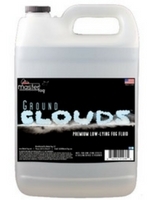 Master Fog Ground Clouds is a high-quality low-lying fog fluid designed for indoor use. You can definitely use this juice outdoors, but it’s optimized for stage and studio performances. It produces fog that is clean, dry, odorless, leaves no residue, and free from contaminants. This product creates thick, dense clouds of fog and is an ideal choice for indoor ground effects. You can use it with any fog chiller, but Master Fog recommends machines with 700 watts or more. Due to the density of the formula, smaller units with less power might not perform as well. Master Fog has made a name in the industry for their incredible line of fog fluid. Ground Clouds is no exception, so if you’re looking for a fog juice that produces low-lying, thick results, check it out! The geyser effect has quickly become one of the most popular fog and lighting resources on the market, and for good reason. It looks so cool! What do geyser-style fog machines do? Normally they provide a fast burst of fog accompanied by bright LED lights. The lights illuminate the fog column to create a stunning visual effect. In many cases a the end result imitates the look of fire, thus providing a safe way to replicate pyro-effects. As the market has progressed, geyser foggers are emerging with more bells and whistles. In particular, Chauvet’s geyser series is making an incredible name for itself. As with any fog machine, the type of fluid you use matters. Luckily there are some great options on the market that are specifically optimized for geyser units. These fluids are perfect for short, fast-moving blasts of fog. Read our reviews below and take your lighting show to the next level! Froggy’s Quick Blast is the perfect fog machine fluid for pulling off amazing effects. While most fog juice is designed to linger for longer periods of time, Quick Blast creates a thick white burst of smoke that disappears in seconds. Get the most out of your geyser machine, CO2 canister, steam pipe, flex fogger, or other fog effect system. 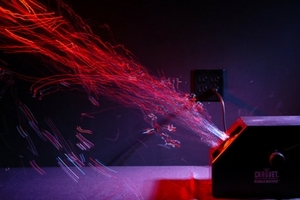 In the world of fog machine products, Quick Blast is an innovative solution to your geyser and special FX needs. This formula is a green alternative to more expensive C02 systems. It’s made from pharmaceutical-grade chemicals and is non-irritating, non-toxic, non-flammable, and leaves no residue. If you’re just delving into the world of geyser fog machines, discover the difference this fluid can make. Enjoy lightening-fast fog movement and equally quick dissipation. This product works with any geyser unit. Master Fog Cryo Burst (besides having an awesome name) is an extremely fast-dissipating fluid. Although it is compatible with any water-based fog machine, for best results use it with geyser-style units. Experience thick white plumes of fog that dissipate in 5-10 seconds! Get head-turning results with this high-quality juice. If you’re using a geyser fogger with LEDs, enjoy the stunning refraction of your lights in the midst of a bright white cloud. As always, Master Fog ensures your safety by using only pharmaceutical-quality ingredients. 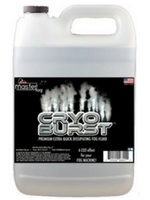 The Cryo Burst formula will produce fog that is clean, dry, odorless, and leaves no residue. Check out the video below to see the results of this fog juice for yourself! Chauvet QDF (Quick Dissipating Fluid) delivers exactly what’s in the name – enjoy thick clouds of fog that disappear in mere seconds. 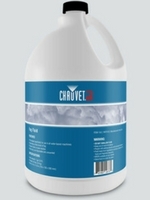 As a leader in the geyser machine industry, Chauvet has specially formulated this fluid to work with their products. If you’ve never used QDF juice in your Chauvet unit, pick up a bottle and see the difference! Be wary of using low-quality, cheap fast-dissipating fog fluids. They are prone to strain your machine and possibly even damage them. Not only will Chauvet’s QDF fog fluid create eye-catching FX, but it is environmentally safe. Made from FDA-approved ingredients, this formula is non-toxic, non-flammable, odorless, and leaves no residue or stain. Whether you own a Chauvet product or another type of geyser, give this fog juice a try and see the difference. If you’re looking to get the most out of your haze machine, it’s important to find the best haze fluid. High-quality haze juice will not cost you much more than cheap imitations, but the difference is monumental. There’s a lot of reasons to use a haze machine. They provide a great way to accentuate your lighting without overwhelming an environment with thick fog. Many wedding venues allow haze but not fog. The products reviewed in this category will leave no slick residue and will give your lights the perfect punch. Froggy’s Beam Splitter is a premium haze fluid that will work with any water-based hazer. This haze juice creates a thin layer that exposes light beams with a moderate refraction rate. 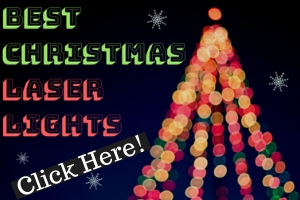 It truly showcases the wow-factor of any laser, LED effect, wash lighting, etc. In large rooms you won’t have to worry about triggering smoke detectors. This formula is ideal for DJs, nightclubs, laser tag arenas, and stage productions. Trusting a professional company like Froggy’s not only makes a visual difference, but an environmental difference as well. Their Beam Splitter haze juice is made from De-Ionized water and pharmaceutical-quality ingredients. It will create the perfect atmosphere for long-lasting lighting FX and produces haze that is odorless, clean, and dry. This is the secret weapon your haze machine has been waiting for! Chauvet HFG is a high-performance haze fluid that will help create stunning lighting FX without leaving behind any nasty residue. If you’ve ever used a poor-quality hazer or fluid, you know that things can get messy. With Chauvet haze fluid, experience minimum wetness on your hazer itself, as well as the surrounding environment. 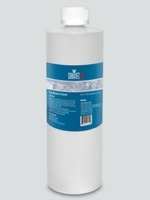 This fluid can be used with any water-based hazer. 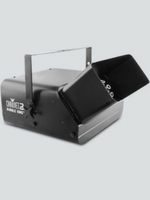 If you own one of Chauvet’s hazers (like the Haze 4D), this formula is a must-have. It’s optimized for Chauvet products and will produce stunning, eye-catching results. This fluid is non-toxic, non-flammable, and unscented. Everyone loves bubbles. Whether you’re DJing an elementary-school event or facilitating a couple’s wedding grand entrance, bubbles come in handy! Guests and clients are always stoked to see those tiny spheres drifting around the room. Some might assume a bubble is a bubble… is there really that much difference between fluids? We say yes! There are a lot of great products on the market, so we’ve highlighted some of our favorites. There are a lot of possible applications for a bubble machine, so make sure your outfitted with the juice that makes the most sense for your context. 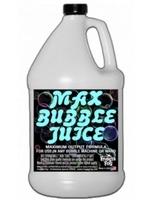 Froggy’s Max Bubble Juice is specially formulated to produce the maximum number of bubbles possible. According to their website, this fluid outperforms standard products by 10x the number of bubbles! Fill the room with long-lasting, high-flying bubbles and create an atmosphere that people love. This product is biodegradable, environmentally safe, stain-free, and non-toxic. Froggy’s only uses chemicals that are food-grade caliber and FDA approved. When it comes to bubble fluid, Froggy’s has you covered! 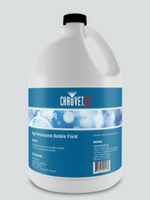 They have an entire line of bubble fluids for virtually any industry need. Check out their other options including below. 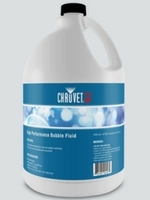 Chauvet’s BJU high-performance bubble fluid is formulated for use in any bubble machine. This fluid creates high-flying, long-lasting bubbles in high volume. Don’t make the mistake of buying cheap bubble juice – too often they produce fewer bubbles and leave behind a slick, soapy residue. Chauvet’s BJU is non-toxic and leaves no stain marks. A gallon of this product is reasonably priced and will last you a long time. As with all of their machine fluids, this product is environmentally safe. Maximize the results from your bubble machine and rest easy in a formula that is gentle to its environment. If you’ve ever experienced an environment where snow machines were used well, you know how stunning this effect truly is! There are a lot of ways to use this effect, but we believe it’s indispensable to have in your arsenal. When the moment to amaze people with snow arrives, the last thing you want is mediocre results. Some cheaper snow fluids on the market leave guests feeling more like they’re in a sudsy washing machine than a winter wonderland. Avoid this mess by investing in the right product the first time! We’ve selected some of the best snow juice on the market. They’re compatible in virtually any snow machine and produce high-quality results. As you send a little magic through the air, these products will help you pull it off effortlessly. 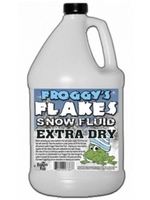 Froggy’s Flakes is a special snow machine fluid that creates ultra-dry flakes. They simulate real snow without soaking your audience with sudsy particles. 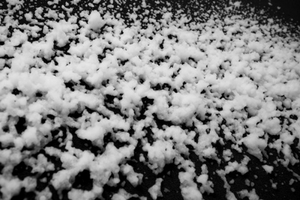 This snow juice creates artificial snowflakes that float over long distances – up to 50 feet before evaporating. Create an entire winter landscape that leaves an impression. 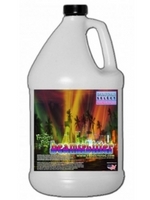 This formula can be used indoors and outdoors and is ideal for parties, stages, theme parks, Christmas displays, etc. It is made from non-toxic, odor-free ingredients that won’t harm plants, skin, eyes, or children. Get the most our of your snow machine with Froggy’s Flakes – and have fun! 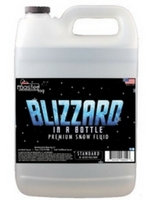 Master Fog Blizzard in a Bottle is a snow machine fluid optimized for outdoor use. The great thing about this product is it’s ability to produce long-lasting artificial snowflakes that won’t evaporate immediately. They’ll build up on most surfaces, creating a dazzling fresh snow effect. While this product is optimized for outdoors, it can be used indoors as well. Just make sure that all surfaces are susceptible to a small amount of moisture. Blizzard in a Bottle will leave no residue or stain and is non-toxic. This is a great snow machine juice to use with your machine. It is sure to help you create memorable highlights to any production. Chauvet SJU Snow Fluid is compatible with all water-based snow machines. From a company you can trust, this formula creates thick artificial snowflakes that will elegantly drift to the ground. It is non-toxic, made from FDA-approved ingredients, and leaves no residue. This product will maximize the output volume and quality of your snow machine. Fog is an incredible tool to use in film and photography applications. We’ve chosen to highlight two products here, although we acknowledge there are variables in what a filmmaker might be looking for. Perhaps you’re a wedding DJ and simply want to know what fog fluid is best for videographers and photographers. The products in this section will help you achieve a visible but short-lasting burst of fog that looks great in film and photography. It will create a dramatic effect without lingering for too long. If you’re looking for a more dense, long-lasting fog please see our reviews of high-density products above. Good luck in your next endeavor and we hope these reviews guide you to the product that’s best for you! 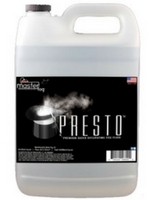 Master Fog Presto is an incredible fog fluid designed to disappear quickly. Photographers will appreciate this product, since it creates a fog effect without continuously blacking out a room. 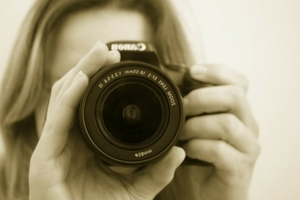 You can get the shot, wait a minute, and start from scratch. Magicians, performers, and bands will also appreciate the versatility of this fog juice. With a hang time of 30-40 seconds, Presto gets the job done then peaces out! This product contains no glycerin, is compatible with any water-based fog machine, and is odorless. Froggy’s Velocity is perfect for those requiring a faster dissipating fog. With a hang time of 30-40 seconds, this formula is ideal for photography, film, drama departments, steam pipes, and virtually any quick fog effects. This company are studs at anything fog-related, so take this fluid for a spin and see what you think. Enjoy experimenting with new looks in your DJ setup by adding this product to any geyser machine. 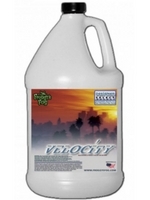 Froggy’s Velocity creates fog that is clean, dry, odorless, leaves no residue, no irritation, non-toxic, and non-flammable. An often-overlooked aspect of using a fog machine is maintaining it. Specifically, we highly recommend cleaning your fog machine regularly using a professional fluid. The bottom line is: only clean your machine as directed by the manufacturer! No fog machine is the same, so avoid damaging it by consulting the manual or manufacturer website. Why do fog machines need to be cleaned? Due to the thick nature of most fog fluid, machines can clog if not maintained properly. At the very least, failure to periodically clean your machine will hinder the fog output. The internal heating mechanism heats fog fluid to high temperatures – which can also lead to clogging as the machine cools and the fluid re-coagulates. The good news is, with a little TLC your fog machine will perform well for years. How should I clean my fogger? Before taking any steps to clean your machine, check the user manual and manufacturer. Not every fogger requires the same cleaning steps. Usually it’s a very easy process. Simply pour a high-quality fog machine cleaning fluid into the tank and run it for around 5 minutes. That’s it! One thing you never want to do is run your machine until all fluid is emptied from the tank. This could burn out the motor – machines typically require some fluid to remain as a coolant and lubricant for their internal mechanisms. If the manufacturer of your fog machine recommends using a cleaning fluid, we have a couple suggestions for you. Check out the products below. Take good care of your fogger and it will perform at its peak! An easy-to-use cleaner that’s effective and will prolong the life of your fog machine. Froggy’s Fully Clean is designed to optimize the performance of all water-based foggers. It cleans out deposits that often build up in a machine’s heater core. Use periodically as needed and get the most from your fog machine! Increase the life and performance of your fogger with Chauvet’s specially formulated FCQ. 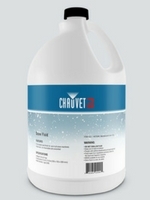 This cleaning fluid was created for Chauvet products but can be used with any water-based machine. Enjoy getting the maximum output from your machine with this solution. Looking for the best fog juice is important – which is why we’ve reviewed it all: low lying fog juice, high density fog fluid, fog scent, haze fluid, snow fluid, bubble juice, and everything in between! We hope this article has helped you find the best fog machine fluid so that you can accomplish the perfect effect. Fog fluids are a ton of fun, so experiment and create something unforgettable!